Kandi Burruss and Tamar Braxton finally open up about their feud. 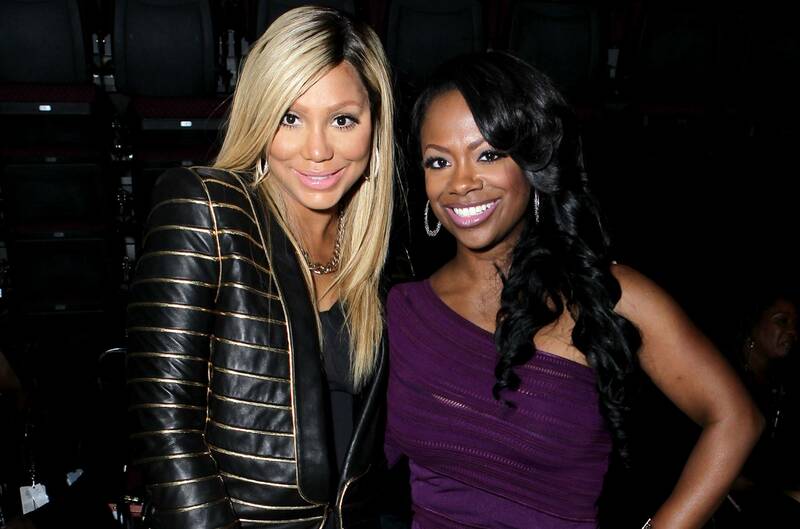 Kandi Burruss and Tamar Braxton had a beef we didn't have an idea about. The two apparently share the same roof as they both appear on the Celebrity Big Brother champion this season which forced the women to address their rocky relationship. During the season premiere on Monday, Braxton revealed the two started beef since she went on tour with Burruss and her group Xscape last year. While Braxton admitted Burruss didn't like her much, the Xscape singer, however, told a different story. She claimed their feud began after Braxton invited people who had spoken negatively about Burruss on tour. Additionally, Burruss also mentioned Braxton unfollowed her after she appeared on the talk show The Real. During Wednesday night’s episode, the two women attempted to solve the feud by talking which didn’t quite go as planned. When Braxton tried to pull Burruss aside to talk about their issues, she was offended with the singer’s reaction. However, Burruss straightforwardly denied ever saying anything about Braxton. “I don’t remember ever saying anything about you,” Burruss replied. Braxton said she felt “disrespected” by Burruss while on tour. In addition, Braxton felt that others were speaking negatively of her while on tour. “I wasn’t trying to attack you,” replied Burruss. Amidst the heated conversation, Burruss started laughing which made Braxton feel disrespected and eventually she stormed out. 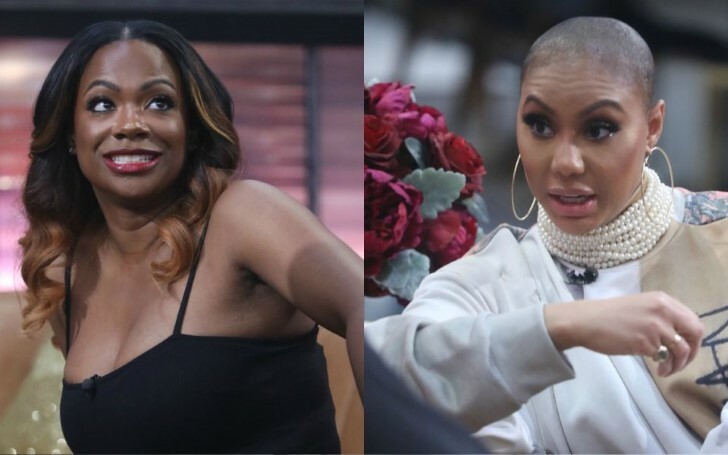 Things became heated between the two of them again after Kandi expressed she felt like Tamar was being "petty" and having a "tantrum" about the situation. Just when it seemed like this beef was impossible to be squashed, Tamar approached Kandi again, and this time they finally agreed to stop arguing, move on, and hug it out. But Tamar may have an ulterior motive for Kandi. As she revealed her plans to save fellow houseguest Lolo Jones from becoming a nominee in a diary room. “OK, so me and Kandi hug because, honey, let me just be honest with you, there are bigger fish to fry. We gotta make sure Lolo stays off the block ‘cause that’s my girl for real." Kandi and Tamar both managed to stay off the block and avoid eviction. It means they'll live to see another week in the CBB house. The iciness may have temporarily thawed between these two Georgia Peaches, but something tells us that the cold war will rage on in the CBB house. The next episode of Celebrity Big Brother airs at 8 p.m. ET on CBS, on Friday.